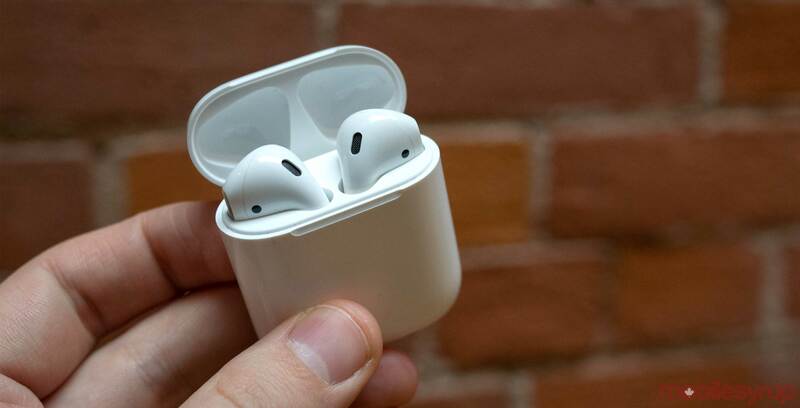 It looks like Apple could have plans to release a new version of its wireless, Bluetooth AirPods in the first quarter of 2019, with a full redesign coming in 2020, according to a new report. The rumour stems from notable, often reliable Apple analyst Ming-Chi Kuo, as first reported by 9to5Mac. Speculation initially indicated that the new AirPods were set to launch this fall, but the earbuds never appeared on stage at Apple’s most recent hardware event. Kuo says that the new AirPods will feature wireless charging support, though it’s unclear if this means that the actual earbuds can be charged without a wire, or if they’ll just feature a Qi-compatible wireless charging case — which Apple actually revealed a few months ago and then never released. Further, Kuo says that the new AirPods will feature an upgraded hinged case, improved Bluetooth functionality, indicating that the new AirPods will likely include Bluetooth 5.0. There’s also a possibility the upgraded AirPods might be water resistant and will feature noise cancellation. Kuo also says that a new design for the AirPods is coming in 2020, but doesn’t reveal specific details. Apple’s long-delayed AirPower wireless charging matt also isn’t mentioned in Kuo’s report. Kuo says that Apple’s AirPods are the company’s best selling accessory ever, with the tech giant predicting it will go from selling 16 million in 2017 to 100 million in 2021. I’ve contended for a while now that the AirPods are the best product Apple has released in recent memory. While they remain a little pricey and their sound quality isn’t the greatest, the convenience of Apple’s W1 chip remains unmatched across the headphone industry. It’s worthing noting that given Apple owns Beats, a number of the company’s headphones also feature the W1 chip, including the Solo3 over-ear headphones.